Disciples are made, not born. Whether your children are babes in arms or teenagers getting ready to leave the nest, making disciples at home starts with you! Give your family a makeover with this practical approach to helping your children learn what it means to be a follower of Jesus. At first, you might think this book is suited for young/newly Christian families, but I love that some of the ideas have helped to inspire new ways to improve what we are already doing to better prayer and spiritual life. Each chapter ends with discussion questions & would be a great book to introduce to Church small groups. I will be passing this book along to our pastor to either add to the Church library or to use in a small group. Melissa Spoelstra is a popular women’s conference speaker, Bible teacher, and writer who is madly in love with Jesus and passionate about helping women of all ages to seek Christ and know Him more intimately through serious Bible study. She has a deep, abiding passion for studying God’s word and teaching others to do the same. Spoelstra holds a Bachelor of Arts in Bible Theology from Moody Bible Institute and enjoys teaching God’s Word to diverse groups and churches within the body of Christ. She is the author of First Corinthians: Living Love When We Disagree (releasing in August), Joseph: The Journey to Forgiveness, and Jeremiah: Daring to Hope in an Unstable World Bible studies and Total Family Makeover: 8 Steps to Making Disciples at Home book. As a parent, Spoelstra has struggled in the past with knowing how to help her kids love and follow Jesus in a world that is pulling them in many directions. 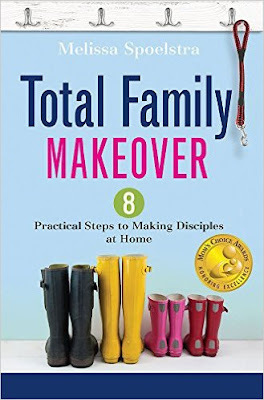 Total Family Makeover was born from her own biblical studies and experiences with her children. Spoelstra wants to inspire parents to keep pursuing Jesus and implementing ideas to help their kids develop their own relationships with Him. Spoelstra describes herself as a small-town girl from East Texas, but now resides Dublin, Ohio, with her church planter/pastor husband of 20 years and their four children. 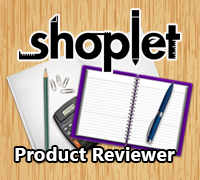 To keep up with Melissa Spoelstra, visitmelissaspoelstra.com. You can also follow her onFacebook (AuthorMelissaSpolestra) and Twitter (@MelSpoelstra).